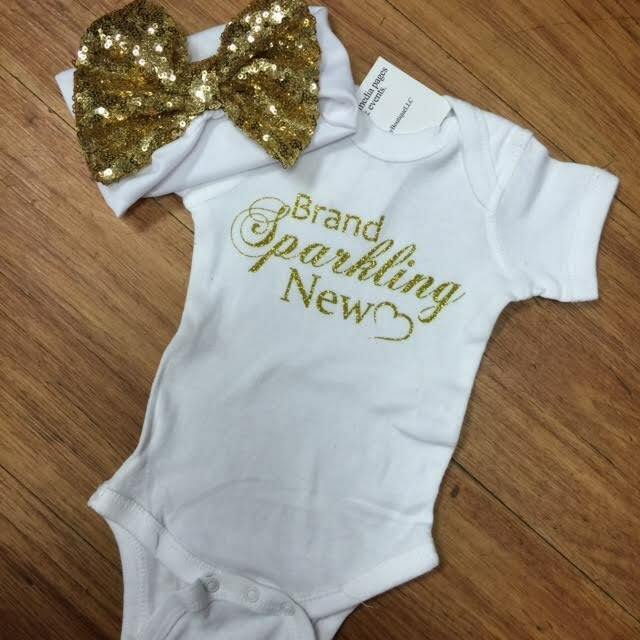 Brand Sparkling New Onesie, Gold Sequin Headband. Newborn gift Set. This adorable is perfect for that baby shower gift or newborn baby girl. Onesie available in several choices. Items sold as a set or separate. Onesie available in Newborn or 3/6 mo. Headband is a soft knit headband with gold sequin bow. 7" diameter.